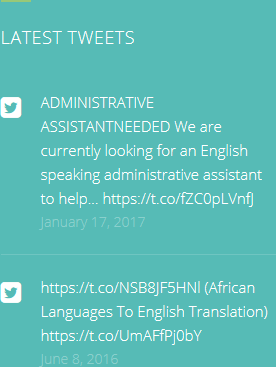 Translate English To French Online: Can A Translator Work Across Different Industries? Translate English to French online is something that many people will search for on the Internet. It’s a useful service that allows for quick and accurate translation of documents. That is, as long as you pick the right expert to help you. It isn’t simply a case of finding any translator – research is essential. Although in some careers and professions it is possible to work across different industries, when it comes to being a language translator, it is often best to choose a speciality and stick with it. It is what most translators choose to do. This way, when you begin your search for a translator for your project, you will be able to find one that understands the type of work you want done. This is important as translation isn’t just about knowing the right words, it is also about understanding the meaning behind them to ensure that it all makes sense. To translate English to French, for example, isn’t something that someone who is simply bilingual can necessarily do – they must also understand the written word and how it works. When you decide to go ahead with getting a document translated the main idea is that it will have the same impact in every language it is written in. This is why an expert in your field is essential. Your message will not lose its meaning whether it is written in English, French, Dutch, German, or any other language you might want it translated into. 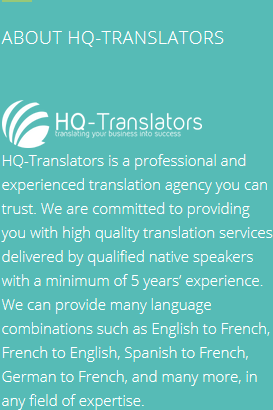 Hiring HQ-Translators to translate English to French online will get you the results that you want and need. Call us today on (00 237) 242 71 38 38, or (00 237) 693 21 69 27, or email infos@hq-translators.com to discuss your requirements. 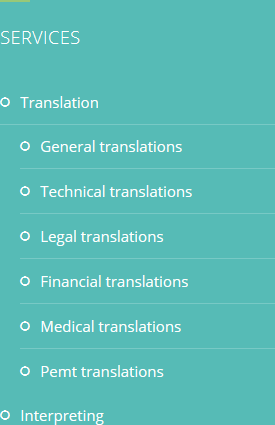 See our website at https://hq-translators.com for more details about what we do.